Approximately 50 people showed up Tuesday evening for the free ranger campfire program at Gettysburg National Military Park. 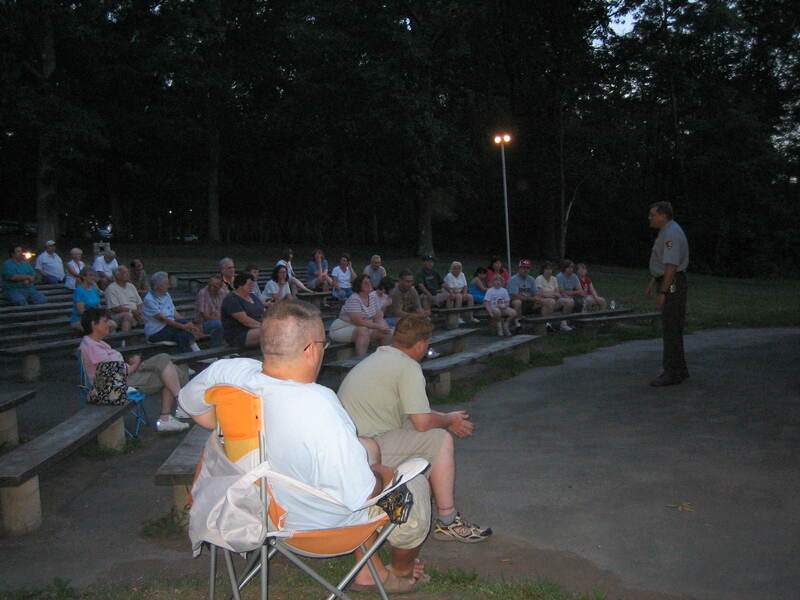 The program was held at the amphitheater in Pitzer’s Woods along West Confederate Avenue. Seasonal Ranger Rick Bartol presented the program on the Meade-Sickles controversy. This view was taken from the north facing south at approximately 8:30 PM on Tuesday, July 22, 2008. 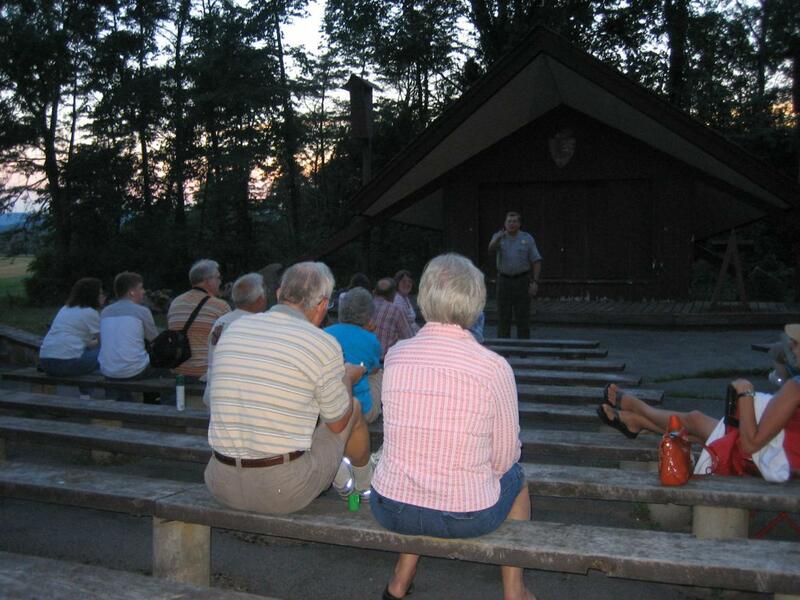 During the summer months, the National Park Service at Gettysburg presents a free, ranger campfire program. Seasonal Ranger Rick Bartol presented the Meade-Sickles controversy. If you are interested in seeing any of the free programs at Gettysburg, you have less than three weeks. The last program for the summer will be August 9th. 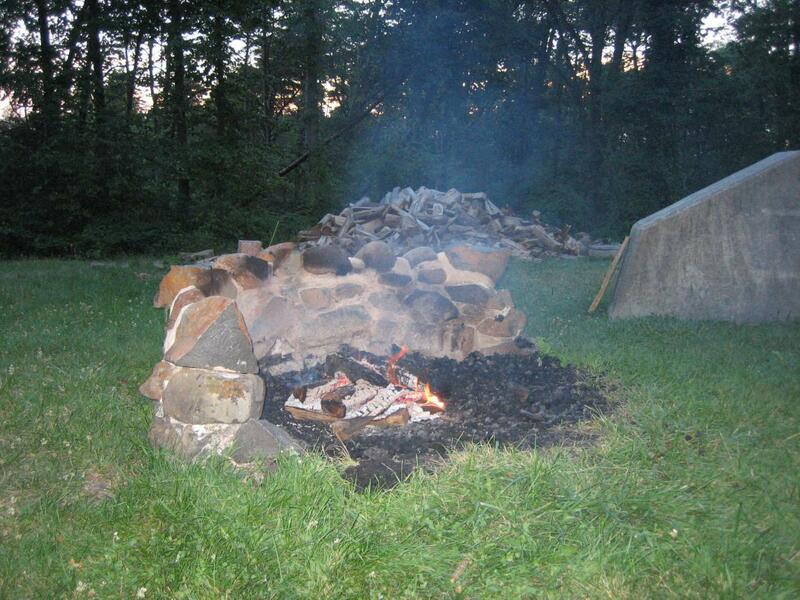 There are two places for the campfire to the north and south of the audience. Only the southern one was utilized tonight. This area also has electrical lights which provide just enough light to move around in this area, but it is not very good in getting back to the parking area. This view was taken from the northeast facing southwest at approximately 8:30 PM on Tuesday, July 22, 2008. 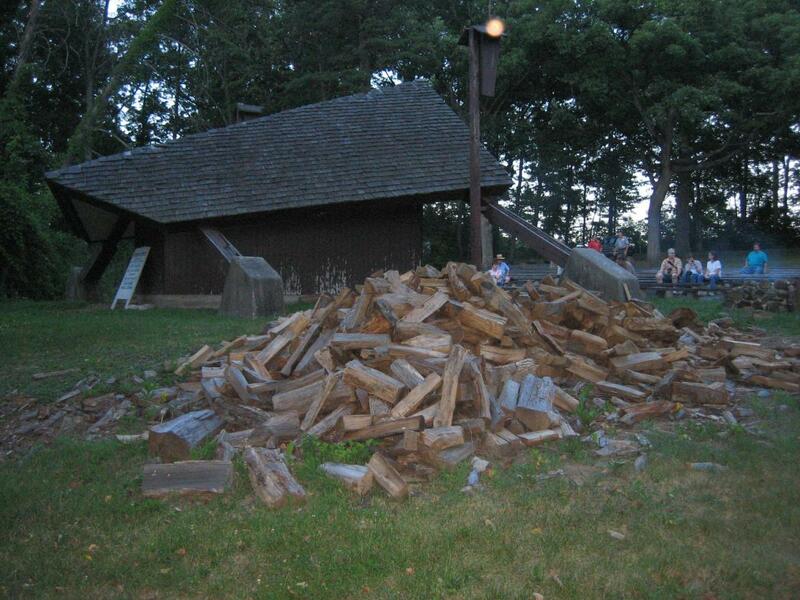 Plenty of wood is available for the campfire, although the flame was almost out when Rick began his program. This view was taken from the southwest facing northeast at approximately 8:30 PM on Tuesday, July 22, 2008. 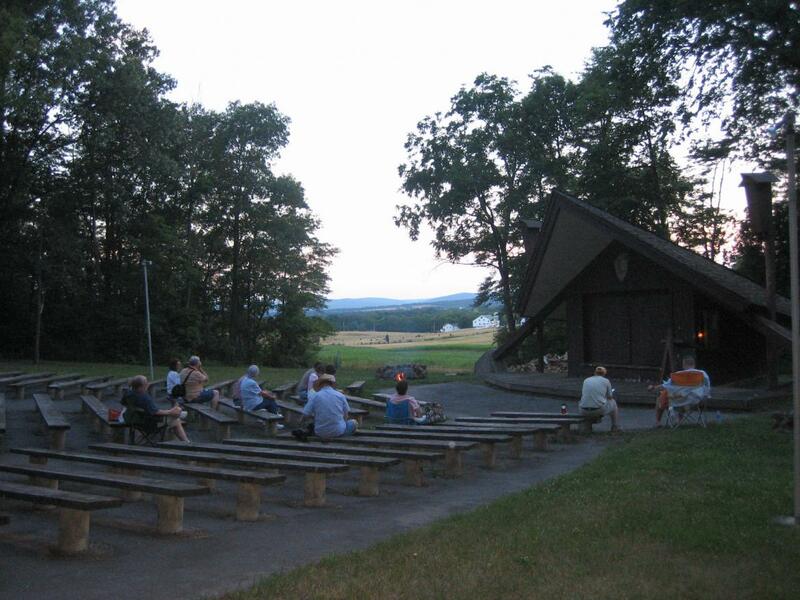 The amphitheater area overlooks one of the farms in the Eisenhower complex. This view was taken from the northeast facing southwest at approximately 8:30 PM on Tuesday, July 22, 2008. Rick warmed up the audience by finding out where the visitors were from. The farthest tonight was from Great Britain. This view was taken from the east facing west at approximately 8:30 PM on Tuesday, July 22, 2008.